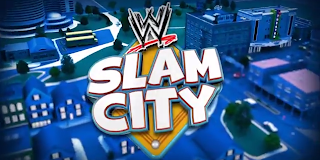 From October last year through this past April, I got the pleasure to be part of the crew making WWE Slam City. 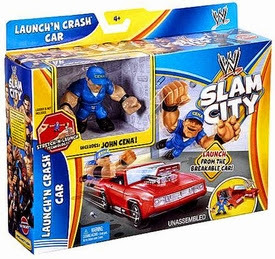 Slam City's a web/TV series based on a series of WWE toys that Mattel has released. In the show, the mysterious Finisher has kidnapped Vince McMahon and fired all of the Superstars, forcing them all to find ridiculous day jobs. While I remember watching a little of Hulk Hogan's Rock 'N' Wrestling in my youth, I was never a huge wrestling fan. Despite my lack of wrestling knowledge, this series managed to strike a chord with me and I came away really loving my time on it. It turned out to be a great mix of absurdist humor and Looney Tunes style gags and was a lot of fun to animate. The series was produced by my old friends at Stoopid Buddy Stoodios and directed by Harry Chaskin. It's got a great look to it, using silicone puppets and 3D printed faces with replacement mouths. Harry and I try on burlesque gloves as a way to avoid fingerprints on puppets. Kelsey Stillmaker and Harry destory the illusion of forced perspective. For this season, I took on a new role as a scheduler/problem solver/coordinator type as well as doing a lot of animation for it. Definitely two very different parts of my brain at work, but it was a fun challenge.